Growing up my mum was famous for making an amazing lemon cheesecake with blueberry topping. Every one who has ever tasted the cheesecake asked for the recipe and raved about it. A couple of months ago I asked mum for the recipe and oh my! there was enough butter and cream cheese in that recipe to make you gain 5 pounds just by reading the recipe! Don’t get me wrong, it is a GREAT cheesecake but I want a cheesecake recipe that I can enjoy! one I can eat more than a spoonful of without feeling guilty! I began a search for healthier options and tried a few recipes, some worked, some went horribly wrong. The recipe I am sharing today is the end result of the search. A cheesecake that is velvety, creamy and luscious. If you think it’s impossible to lighten this creamy, rich dessert without compromising flavor.I urge you to give this recipe a try. You just might change your mind. What I have found out is that the secret to a healthy cheesecake is to replace most of the cream cheese with pureed ricotta cheese and labneh. You can still get that luscious creamy texture at a fragment of the calories and fat content. There are a couple of things to keep in mind when you try this recipe. Flavors Play around with the flavor combination of cheesecake and topping. I went for a raspberry cheesecake and a cherry topping but you can go for any combination you like. lemon cheesecake with blueberry topping. Orange cheesecake with candied orange peel for topping of maybe some chocolate curls or simply some orange widgets. Your imagination is the limit. In your food processor, blender or stand mixer blend the labneh, ricotta, vanilla, lemon extract, sugar and cream cheese if using. In a pot place the cherries, sugar and 3/4 cup of water. When you have 5 minutes left in the cooking time, dissolve the corn starch in the 1/4 cup of water and add it to the syrup while stirring. This will thicken the sauce and give it a beautiful consistency. Store the left over sauce in a clean dry jar in your fridge, it will last up to two weeks. The secret to a healthy cheesecake is to replace most of the cream cheese with pureed ricotta cheese and labneh. Be sure to let the food processor do its job and process the cheese until it has a silky texture. I find that homemade ricotta is better and tastier in recipes like this one when compared to store bought ricotta. You can make your own ricotta using this recipe. 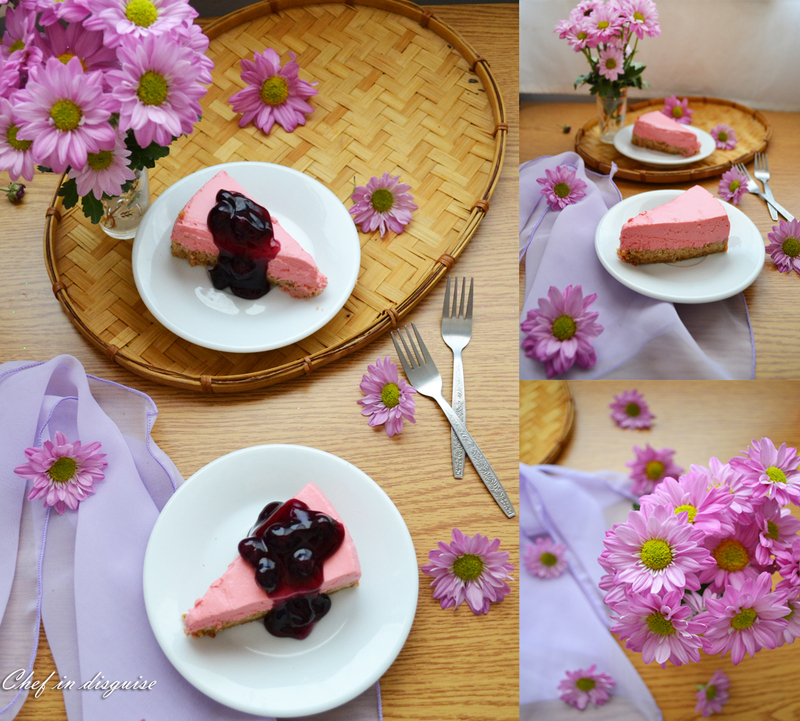 Posted in Cheesecake, Dessert and tagged Healthy cheesecake recipe, homemade cherry sauce, labneh recipe, low fat cheese cake, ricotta cheesecake, yogurt cheesecake, yogurt recipes. Bookmark the permalink. We have been making our own yogurt cheese since we learned to from you! We love it and have even used honey yogurt to make our cheese! We serve it with a Jezabel sauce! Thanks for sharing this with us! Have to try it! Are you sure that it’s possible to have a healthy cheescake? If yes, you’re my hero. What a beautiful cheesecake! I love the no-bake part! Although baked cheesecakes are wonderful, I really do like recipes for no-bake ones – they’re easy and fast! And when you’re hungry, both are important. 😉 This looks terrific – thanks so much. Beautiful cheese cake Sawsan! I have used ricotta, even homemade fresh cottage cheese for similar effect, but never used yogurt which I think is fantastic!! Bookmarked. A low-fat cheesecake that tastes as good as it looks? Now this I gotta try Sawsan! I love the colour too. No need to apologize for your post delay – totally understand life getting in the way of blogging sometimes. This post was well worth the wait! i have been waiting anxiously for this recipe, as smitten with the beautiful hues of cherry sauce topping! thank you for the Labneh suggesiton Sawsan, sometimes I made such a large batch of it that I dont know how to consume it all .haha, cheesecake is a perfect option ! I kind of have a cheesecake phobia because my cheesecakes did not set well in the past. I use agar agar instead of gelatin. I should try this recipe sometime:) this looks delicious. G’day! 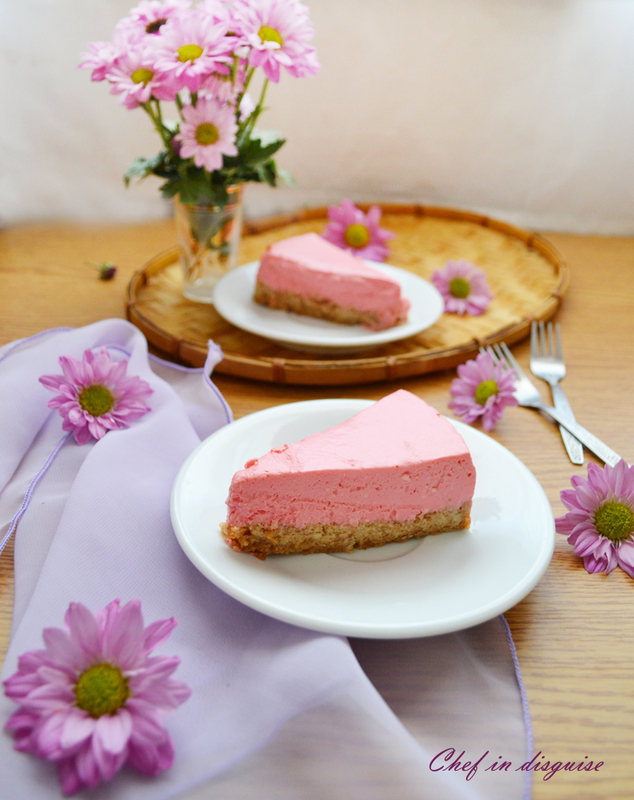 What a beautiful no-bake cheesecake, true! I love how much thought you put into staging your photographs too! A no bake cheesecake with less calories…perfect for summer. Love the beautiful color of yours with the cherry topping. Such a great recipe. Loved it ,low fat and healthy – what more do you want? When I was growing up my mother always made cheesecake this way with jelly or gelatine to set it. I remember the first time I had real cheesecake and I almost died and went to heaven from the richness of it. This is a much lighter dish and quite suitable for afternoon tea. I haven’t made a cheese cake in years, mainly for the same reasons you cite above, just too bad for you! But I also landed on a yogurt cheese (strained yogurt) version about 15 or so years ago. I enjoy the extra tartness. I’m thinking a Greek yogurt version would be very creamy too. I’ll have to put this back on my list. Mr. N’s favorite all-time dessert is cheesecake – with berries! He would love this and I love that it’s a healthier cheesecake. And please don’t ever apologize for not having time to keep up with my blog. I completely understand and can totally relate. We work, we blog, we have families…we’ve got a lot on our plates. 🙂 I know you’re here and I know you’ll be back when you can. I think that’s the great part about having a blog community that we’ve all come to know so well – we get it. 🙂 Now, I have to go get that crack pie recipe off the printer. I’m already dreaming of it!!! 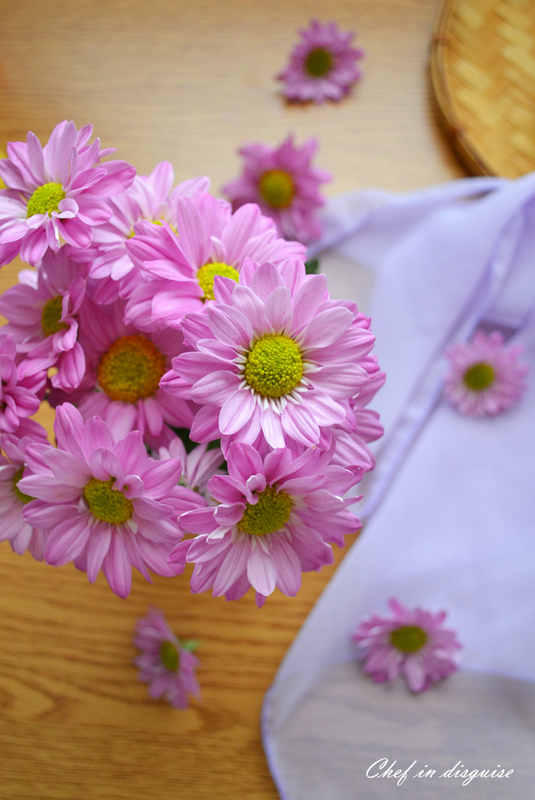 Every owner of a food blog knows how tough it is to marry any sort of life and a blog. Life should always come first. That cheesecake was worth waiting for! You posted this just in time, I was looking for an egg-free cheesecake recipe and found your healthier alternative post! So excited, I’m halfway through making it right now, with photos and all. Trying out a striped-pour method with blueberries and strawberries for lovely colour combos. Cross your fingers! Also, I used this http://www.food.com/recipe/low-sugar-coconut-almond-pie-crust-or-cheesecake-crust-314271 recipe for the base, again to dodge the eggs! Labneh makes the best cheesecakes. =) My sister’s recipe uses a combination of both labneh and cream cheese and it is amazing. Your cheese cake looks beautiful, by the way. Thank you for the kind comment. I make one using labneh and cream and it is amazing but I wanted this recipe to be as healthy as possible.